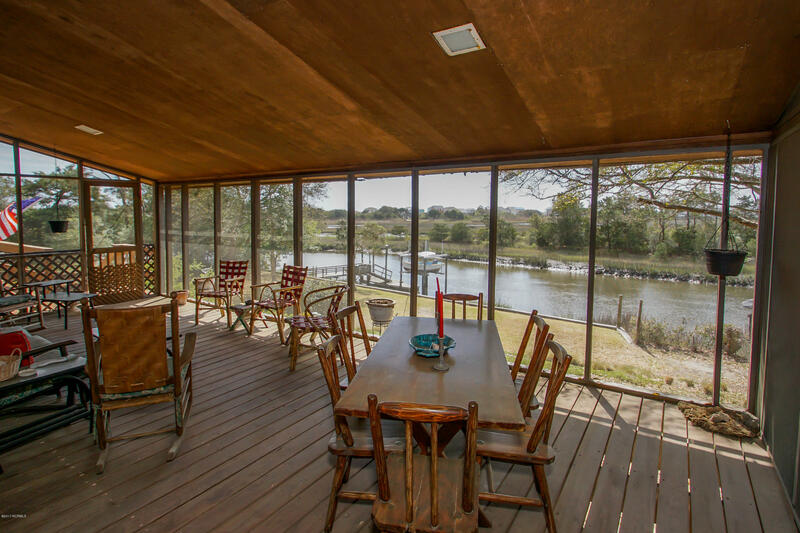 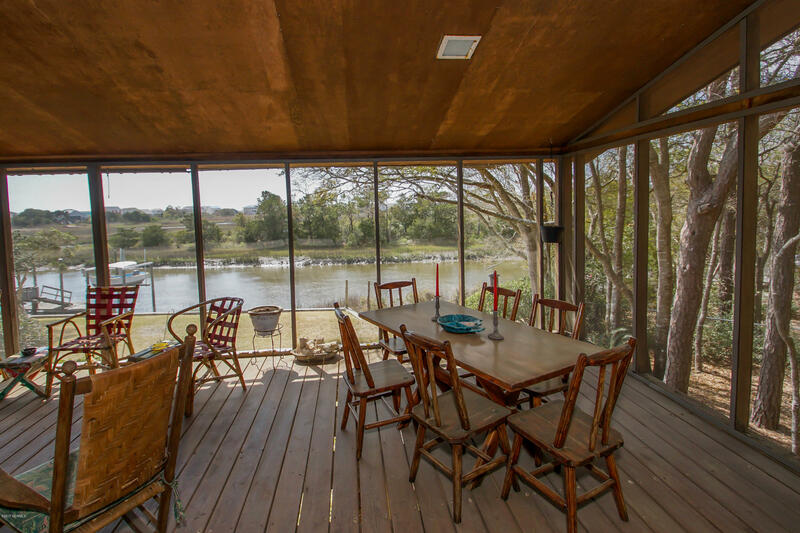 One of a kind opportunity to own a home on approximately 1.3 acres on Big Davis Canal. 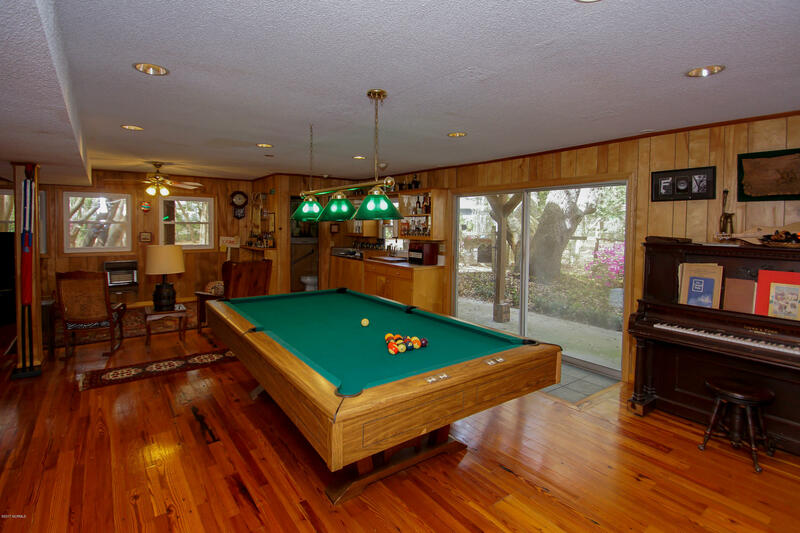 This 3701-3800 square foot, 7 bedroom, 4.5 bath custom built home has been owned and cared for by the same family for almost 40 years. 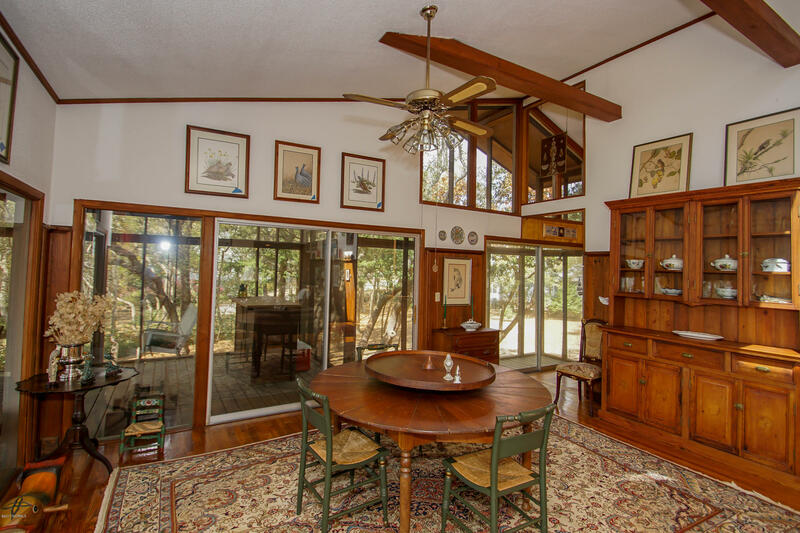 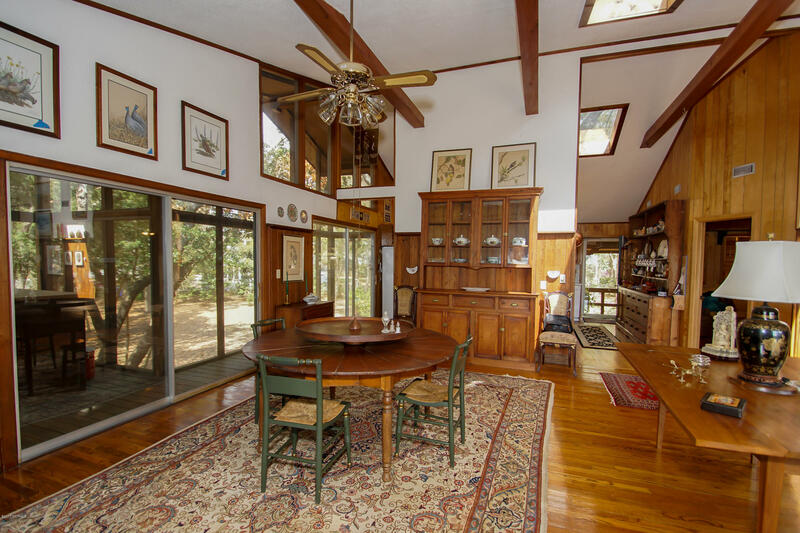 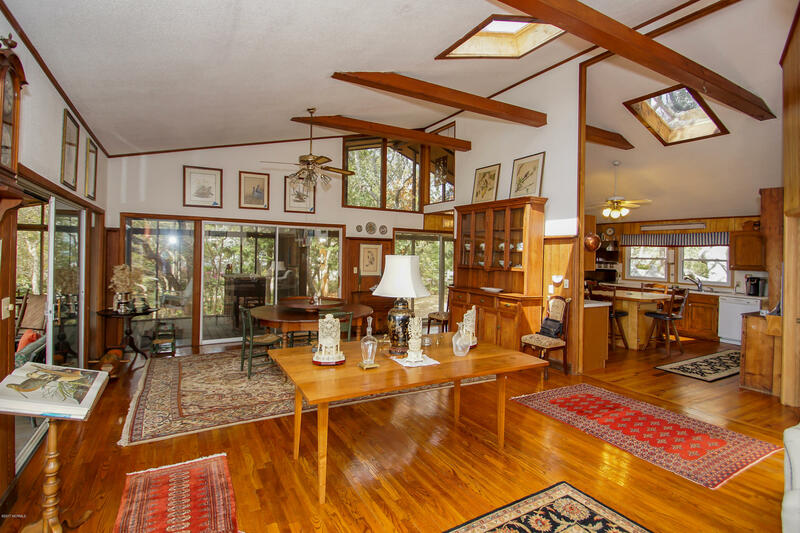 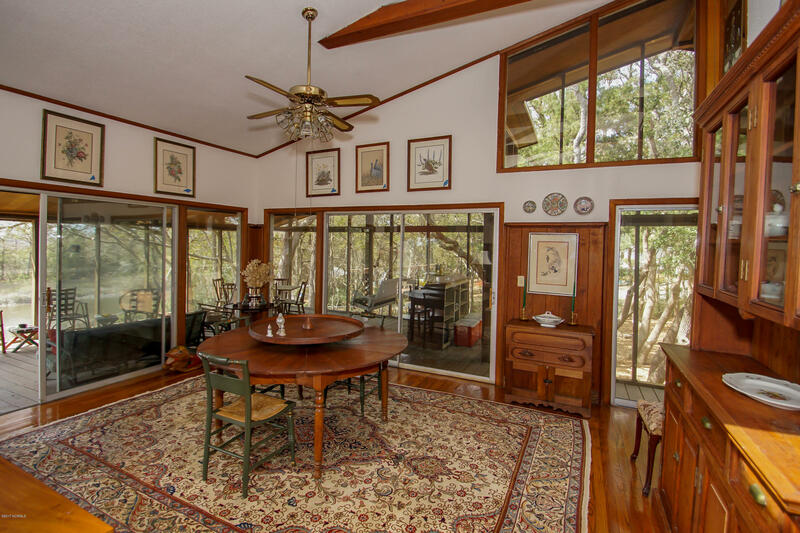 The great room has expansive ceilings and windows that showcase the beauty of Big Davis Canal. 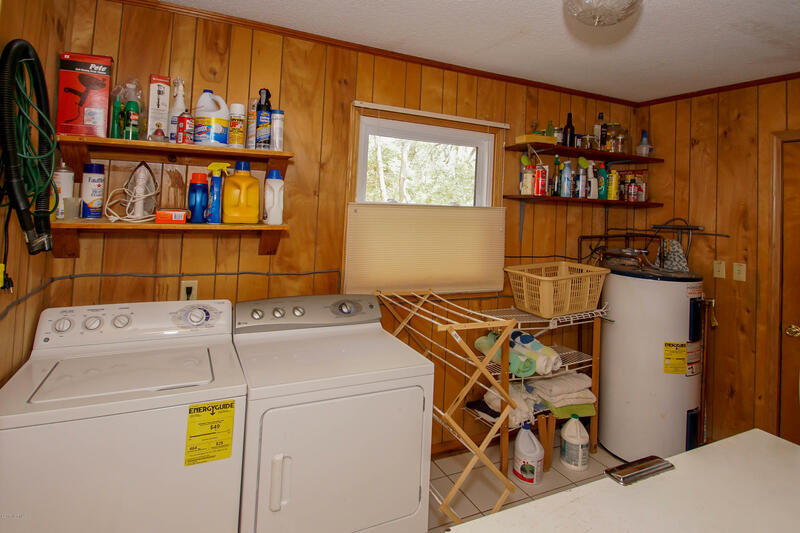 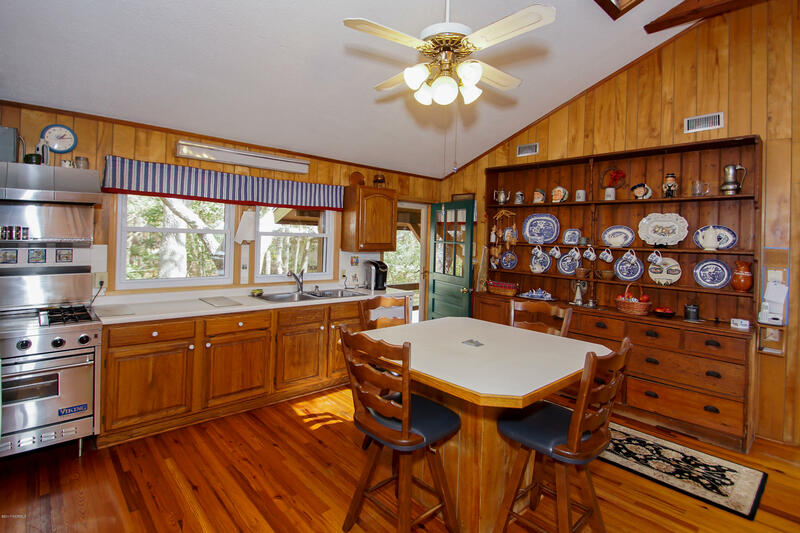 Gracious kitchen includes a gourmet Viking gas stove. 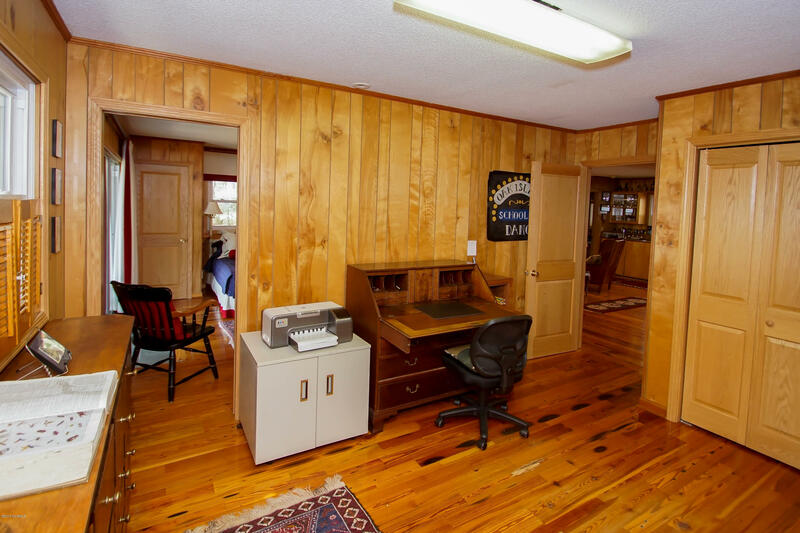 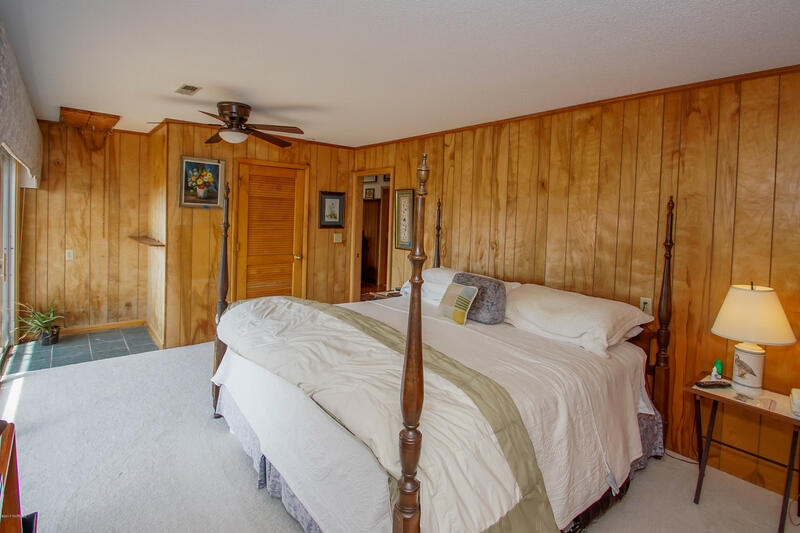 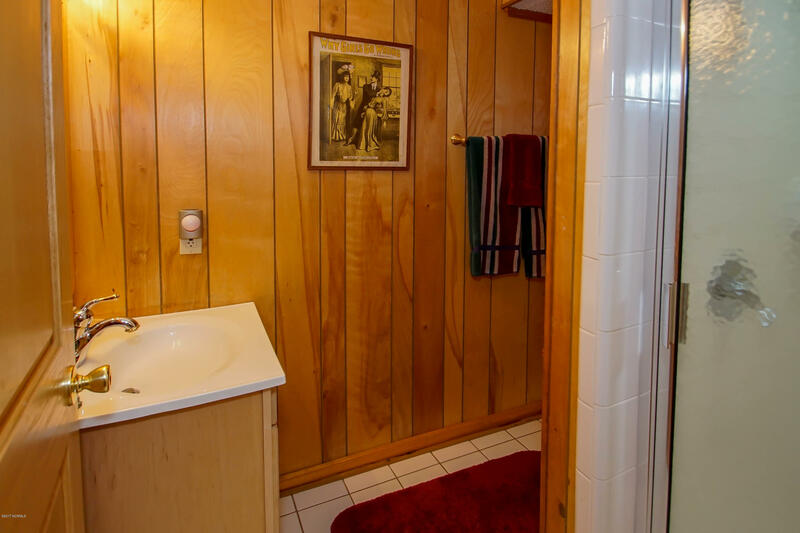 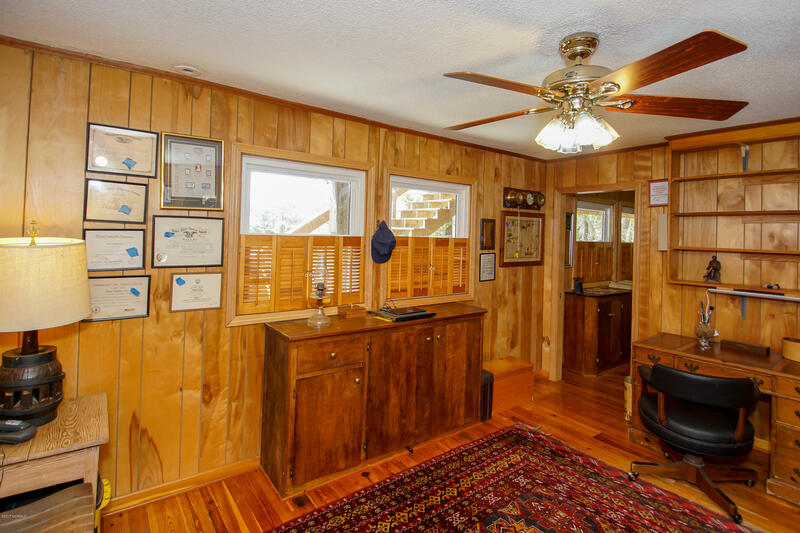 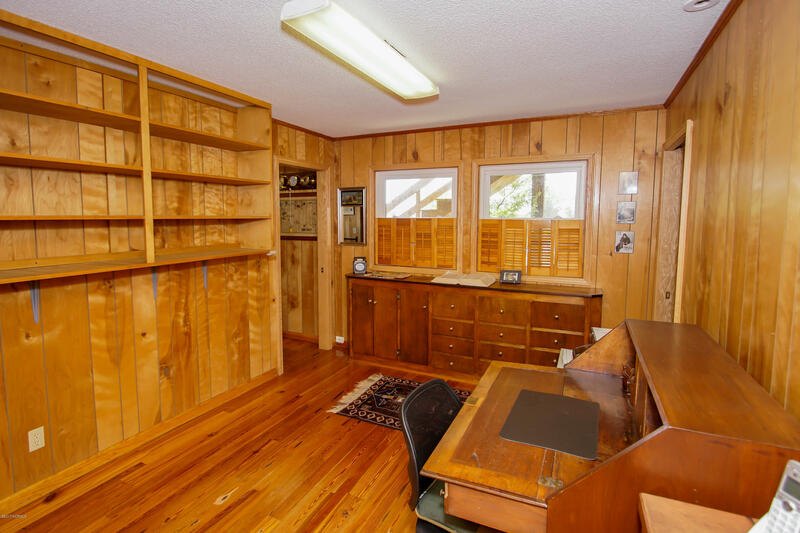 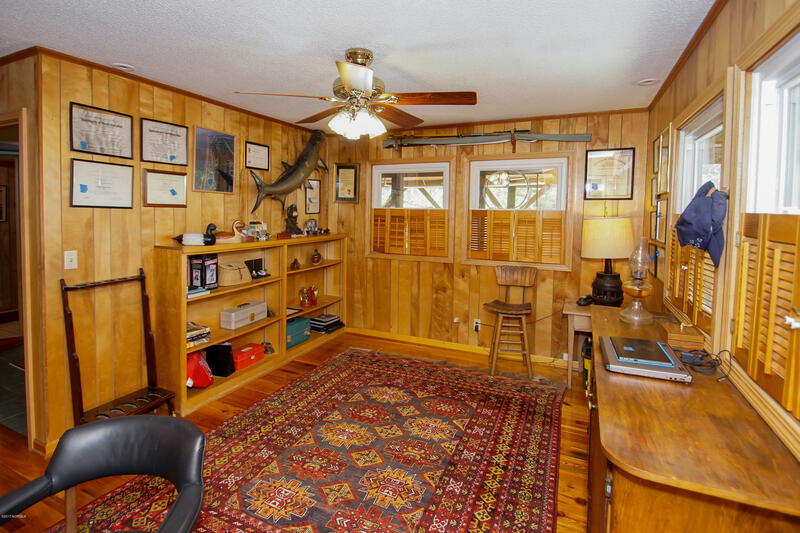 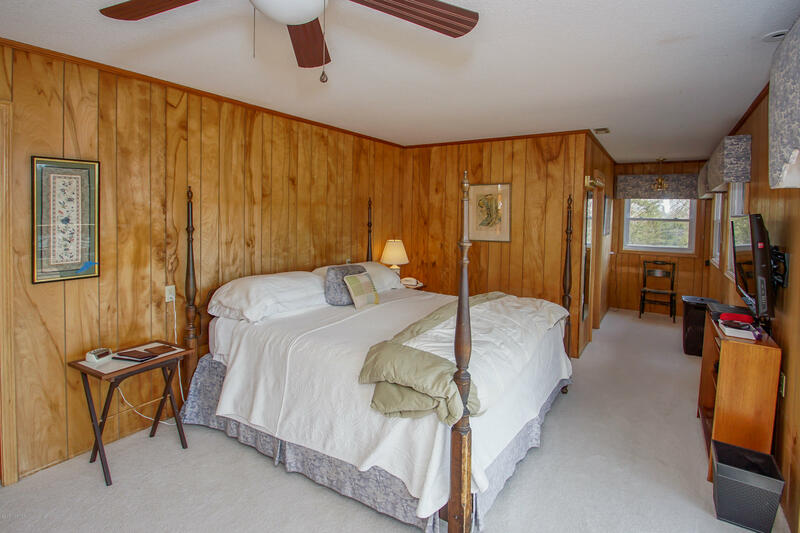 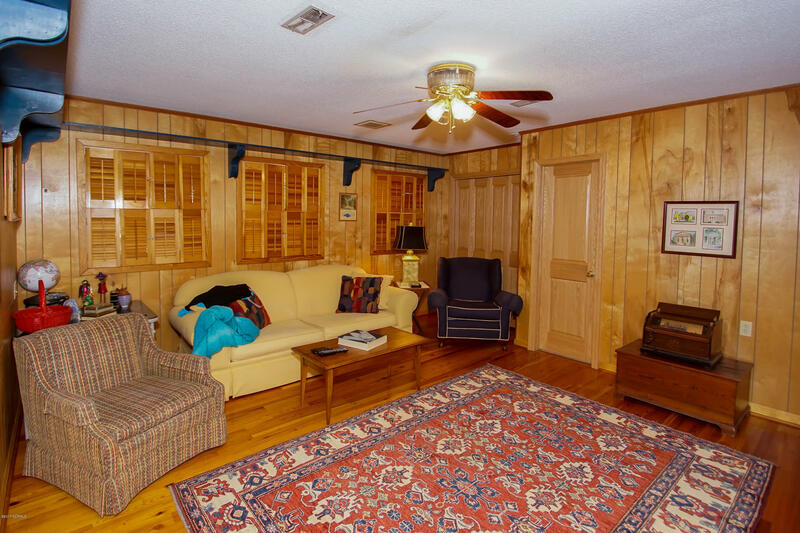 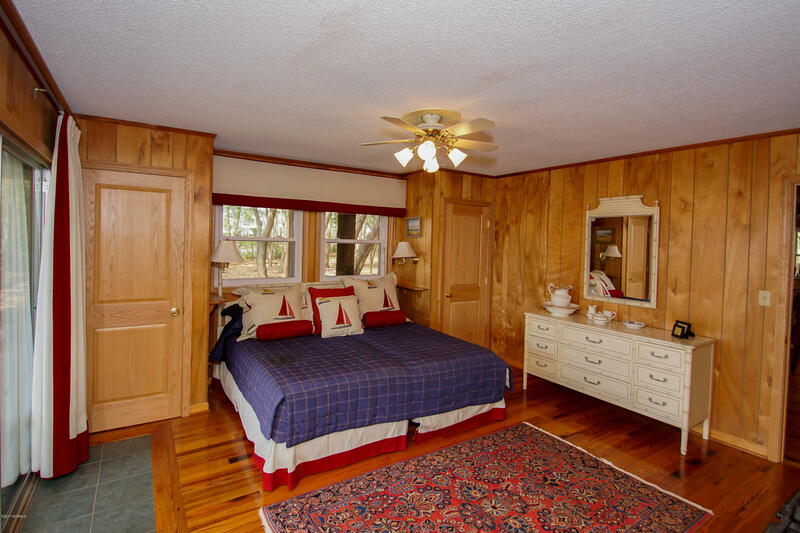 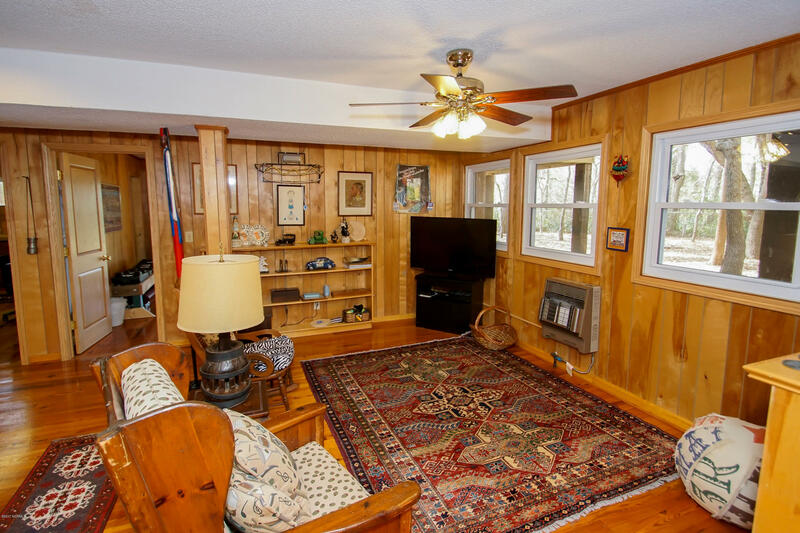 Gorgeous wood flooring and paneling are found throughout the home. 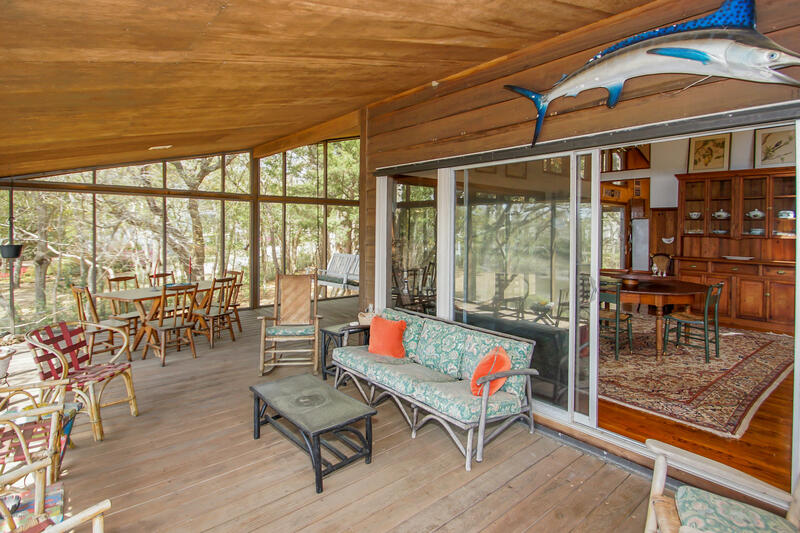 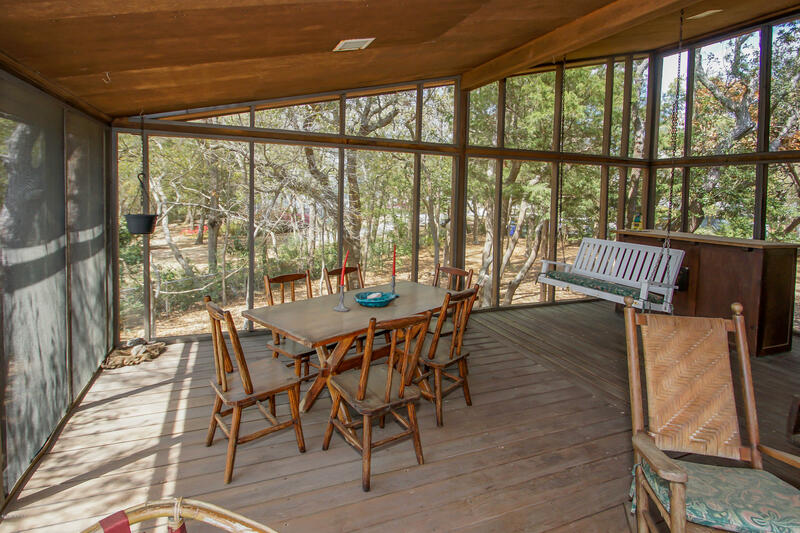 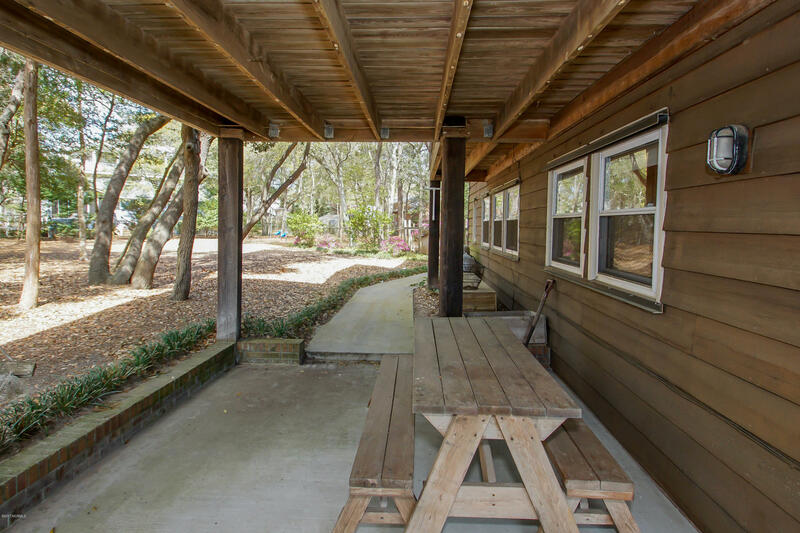 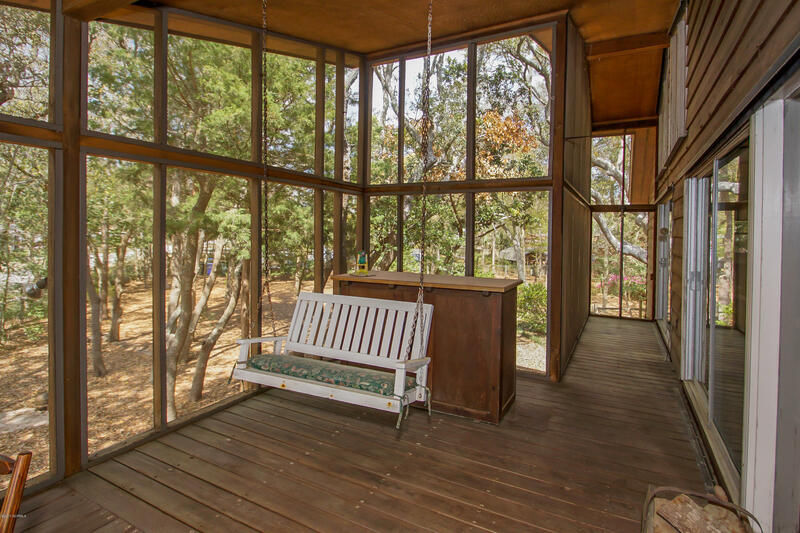 South facing screen porch, complete with a bar area and an open deck expand the width of the home. 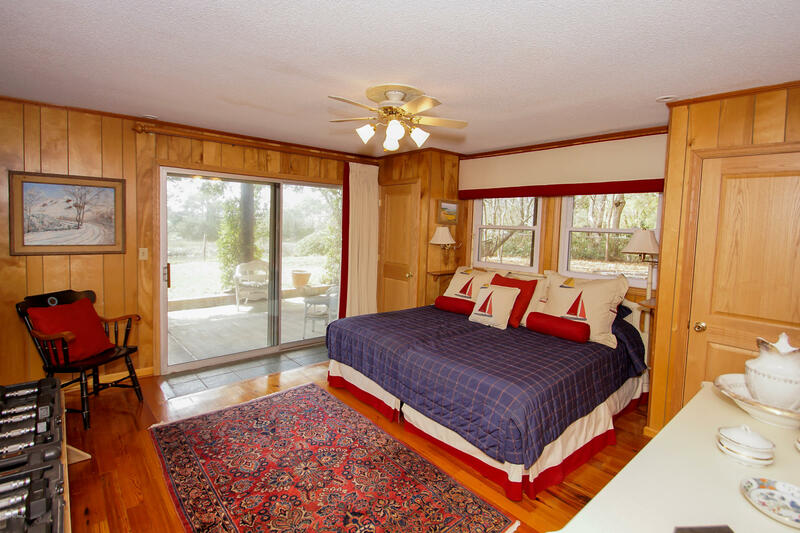 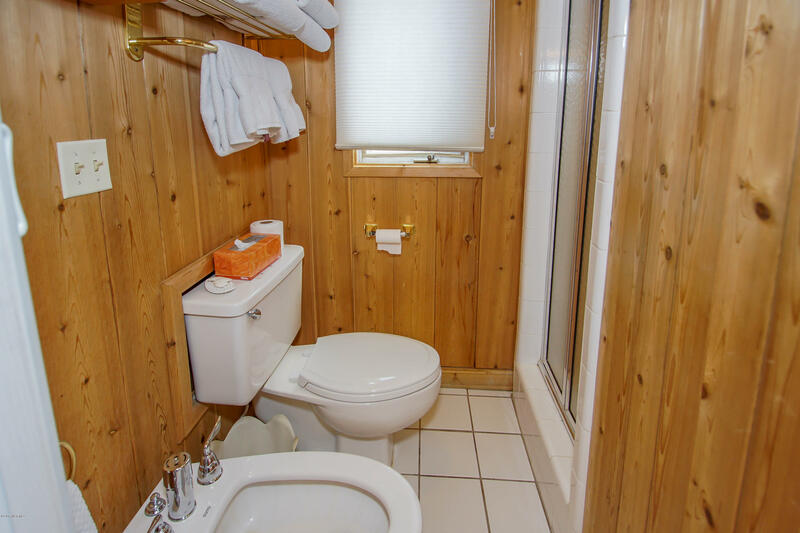 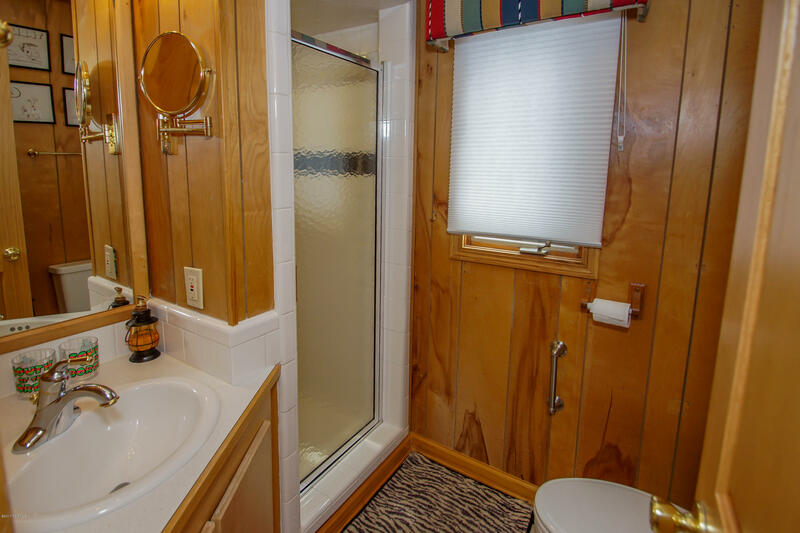 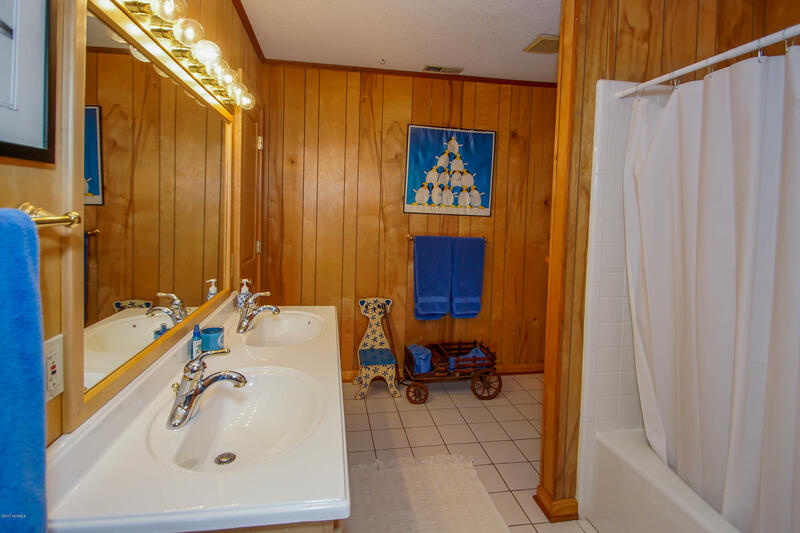 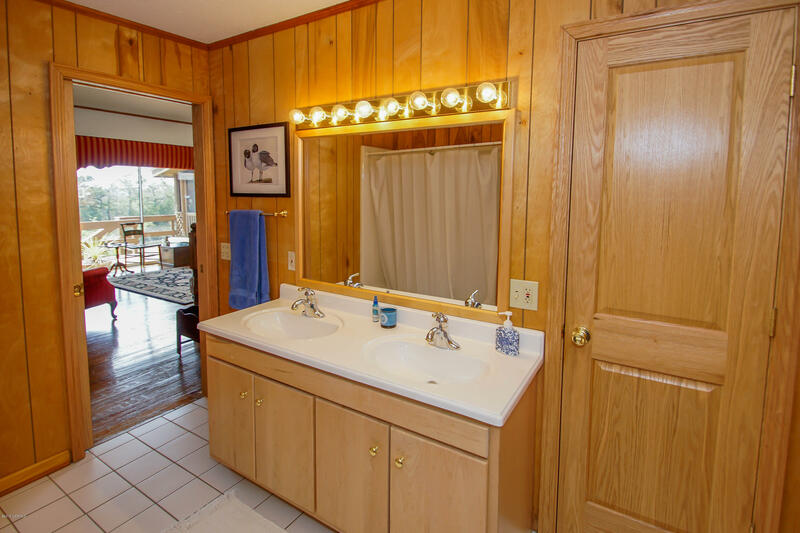 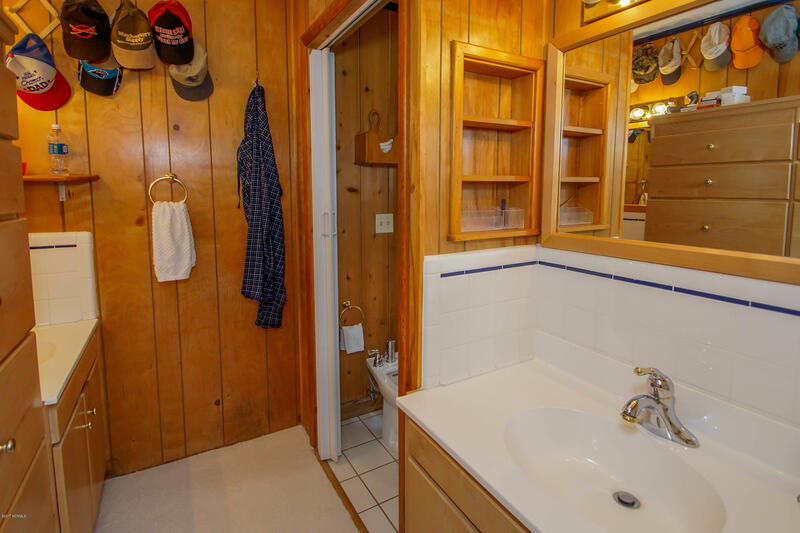 Master bedroom and bath are on main level with views of the canal. 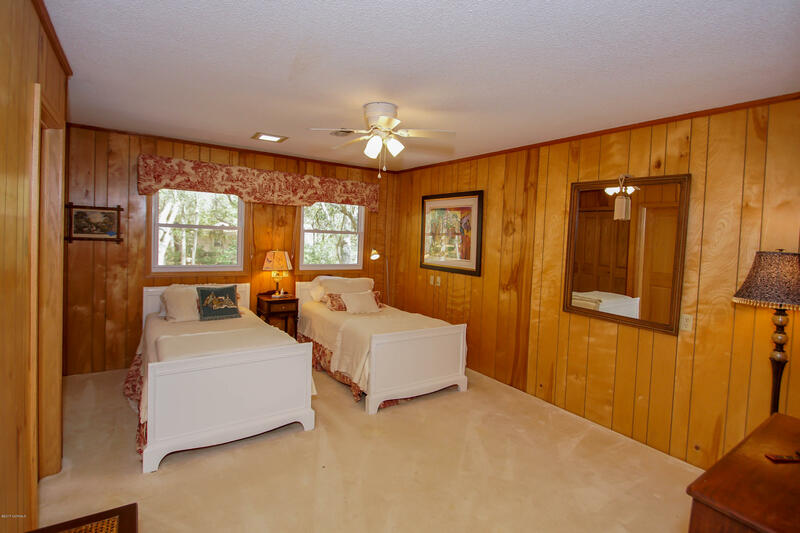 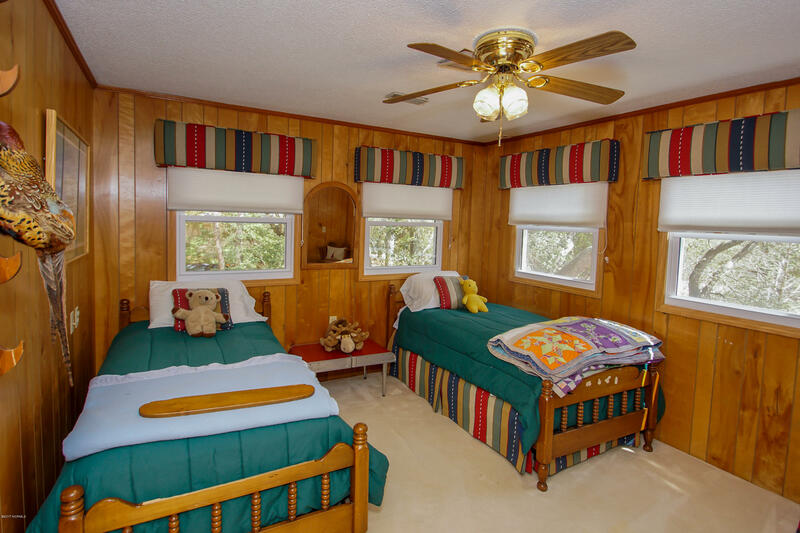 Main level has 3 additional bedrooms and 2 baths. 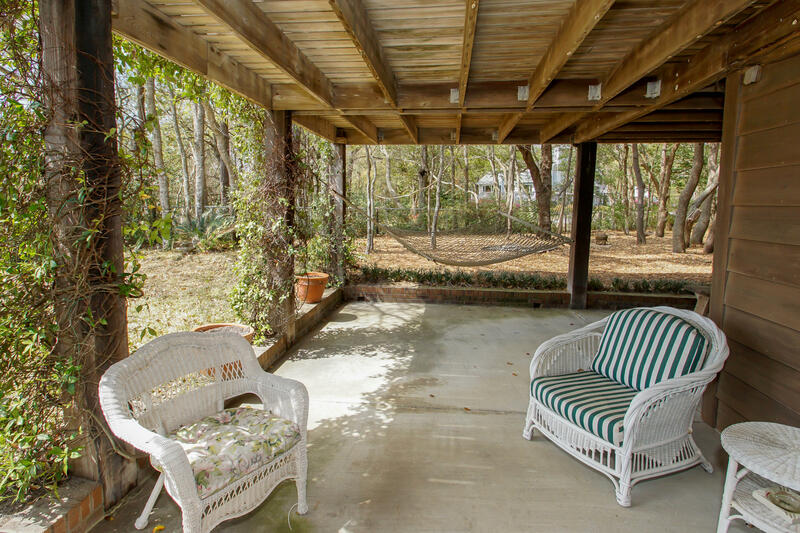 The lower level boasts 3 bedrooms, 1.5 baths and a walkout to a covered patio. 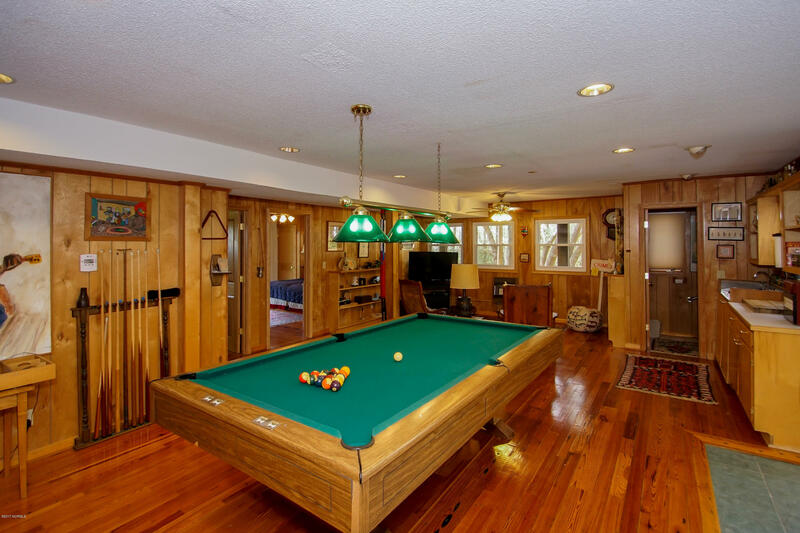 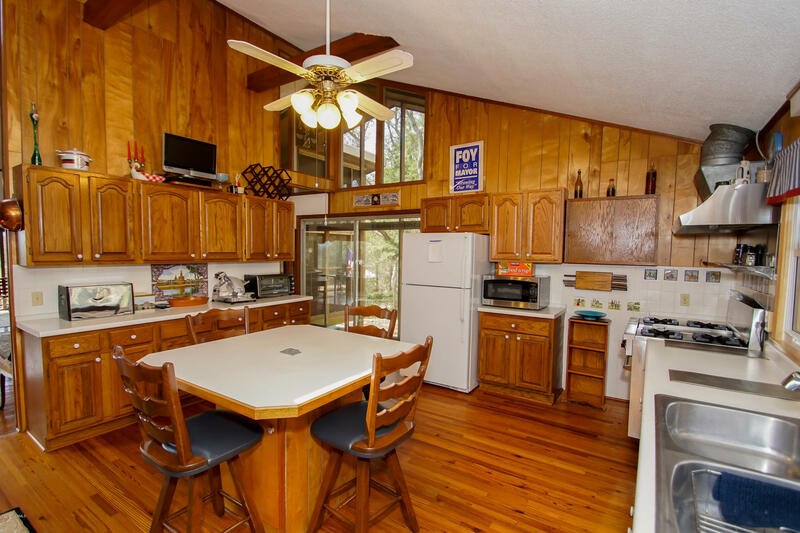 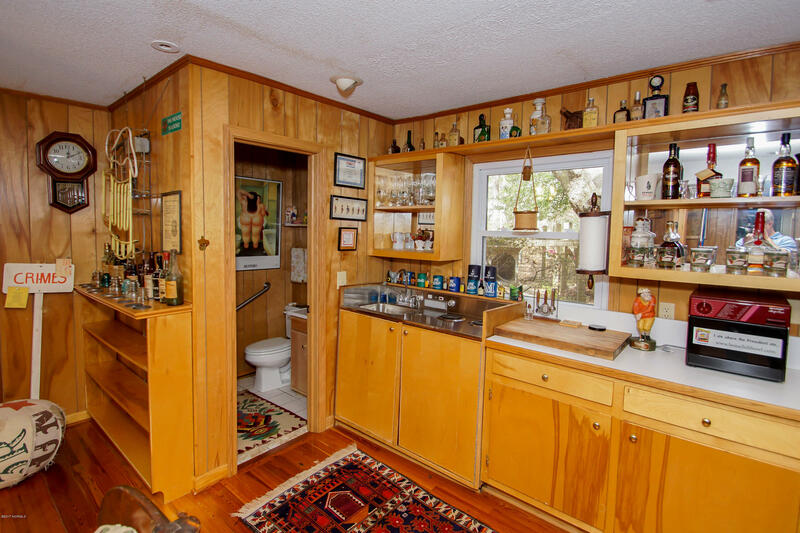 An oversized game room, complete with a kitchenette area, make this home ideal for entertaining. 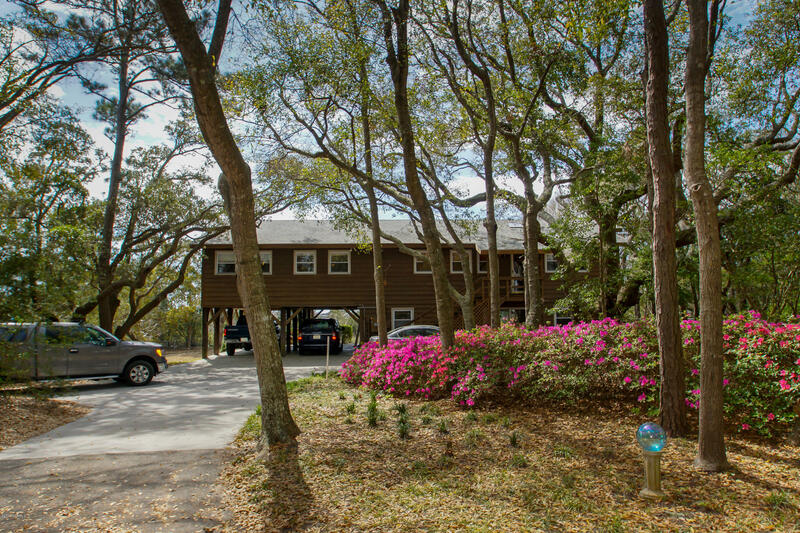 As you walk around the ample grounds, don't miss the utility building used for gardening tools or the professionally designed landscaping. 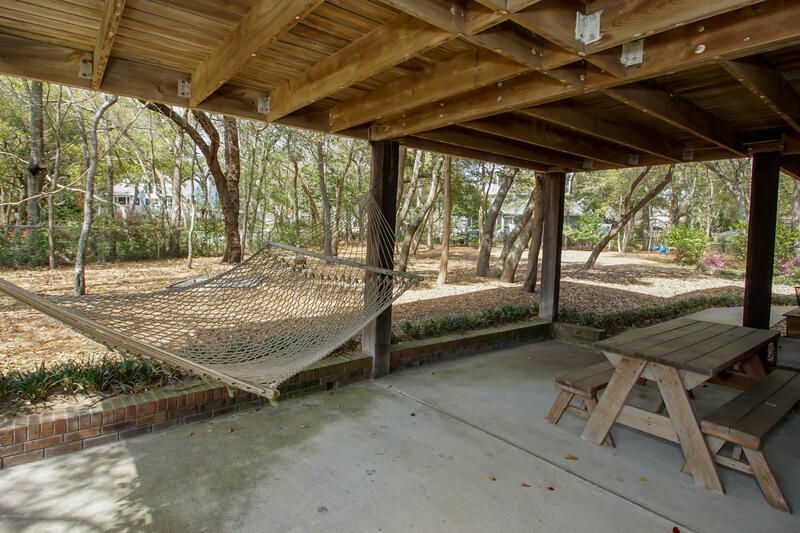 Look for the BBQ pit and swing area underneath the canopy of trees on the west side of the home. 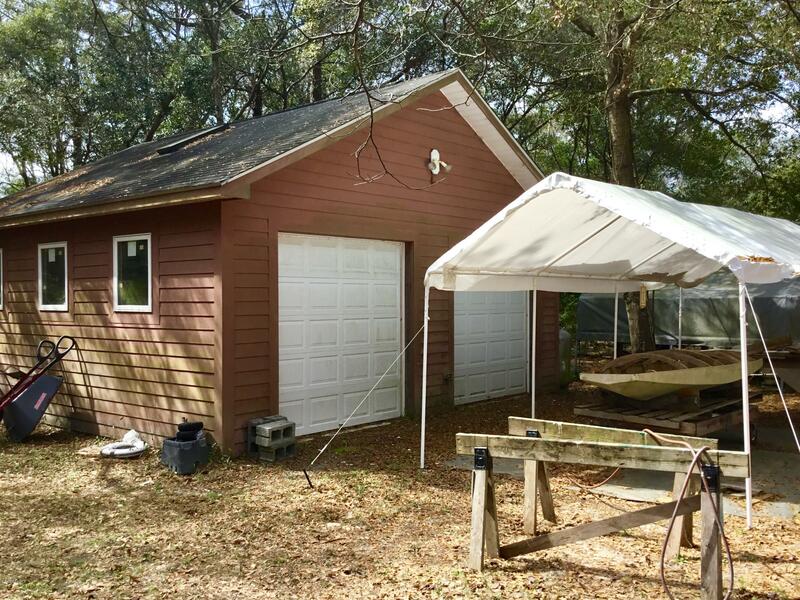 A detached 2-car garage has been turned into a fully functioning workshop complete with heating and cooling. 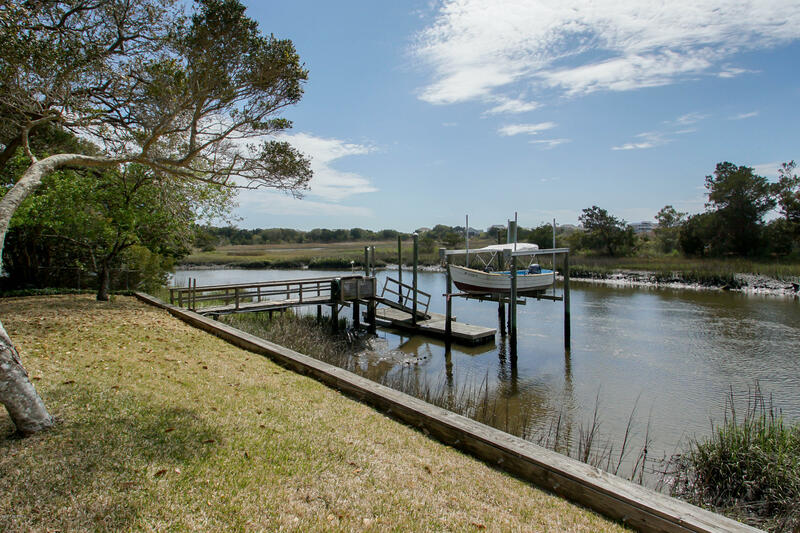 Down at the water you will find a dock and boat lift just beyond the bulkhead. 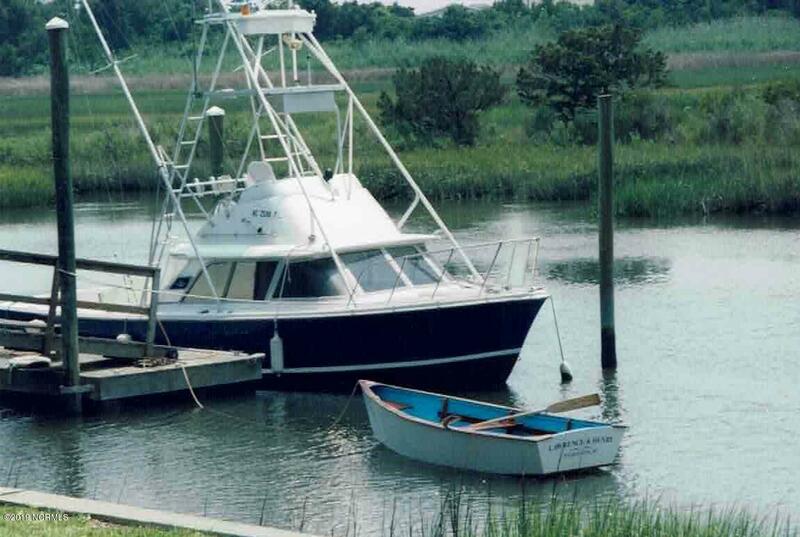 Without the worry of ICW traffic, you can dock a decent sized boat and make it out to the big water in just minutes. 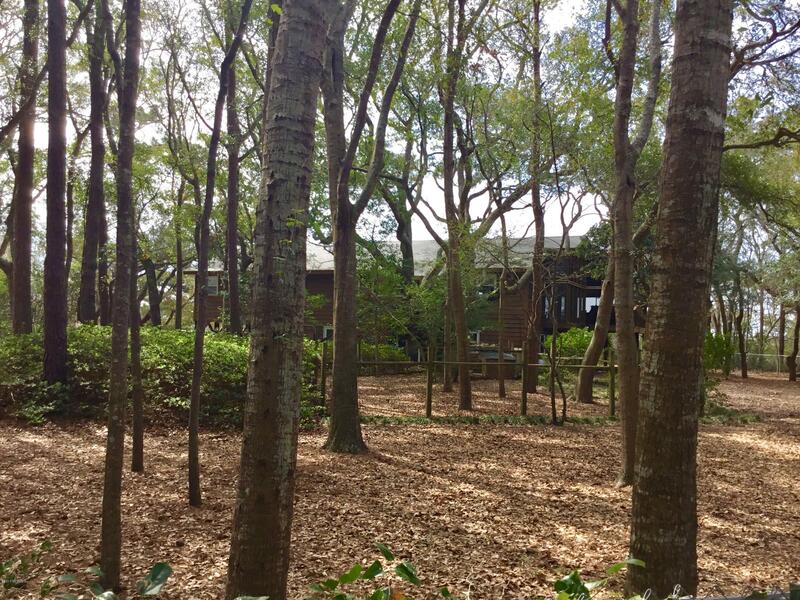 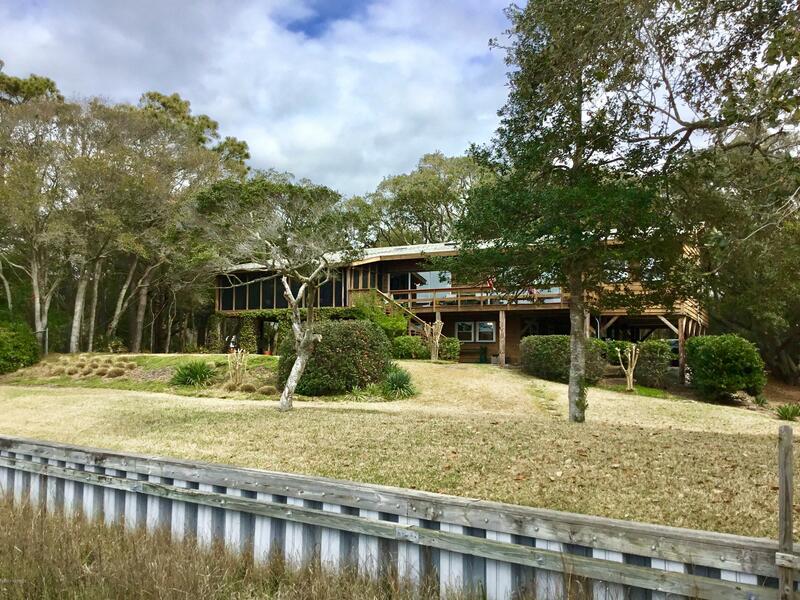 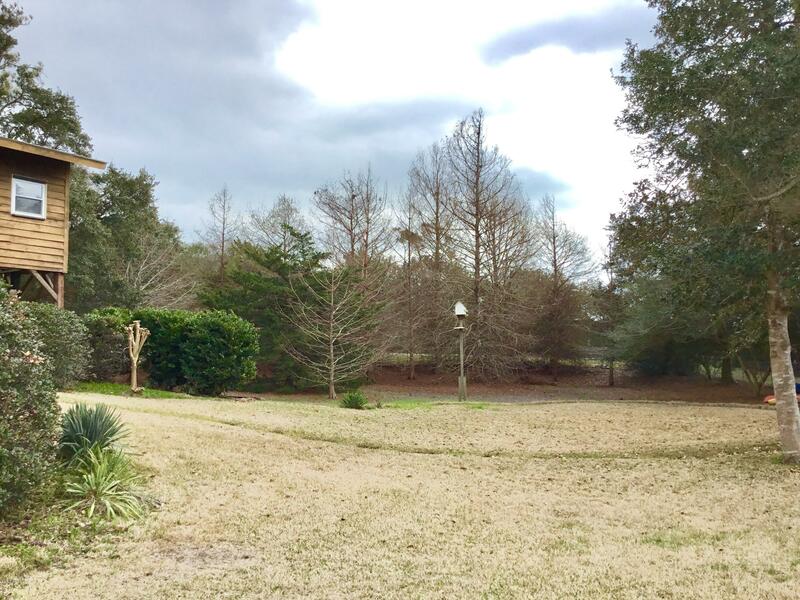 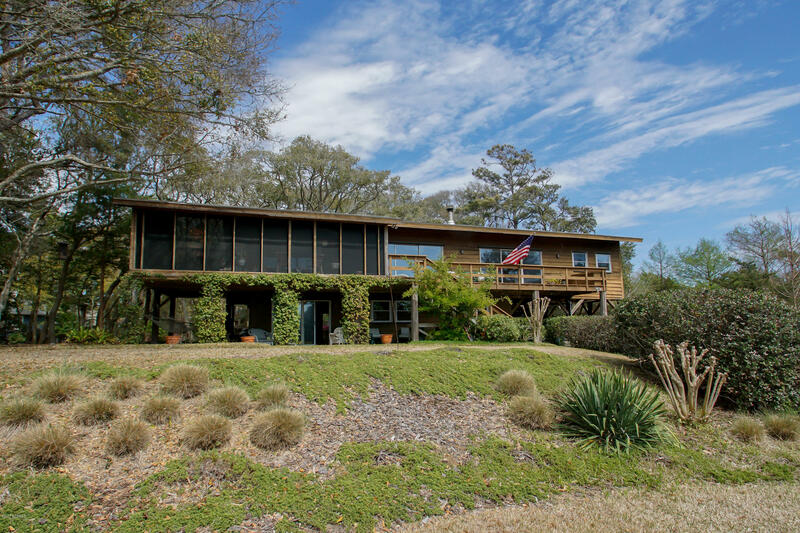 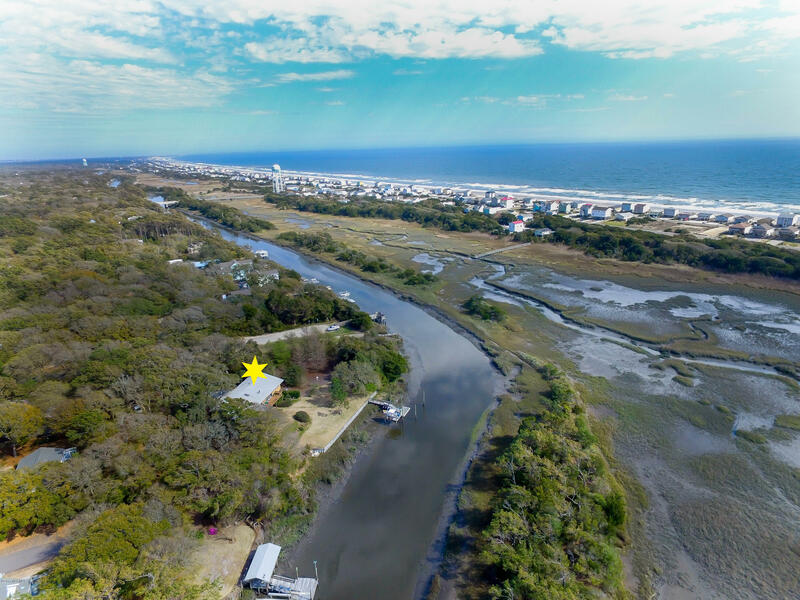 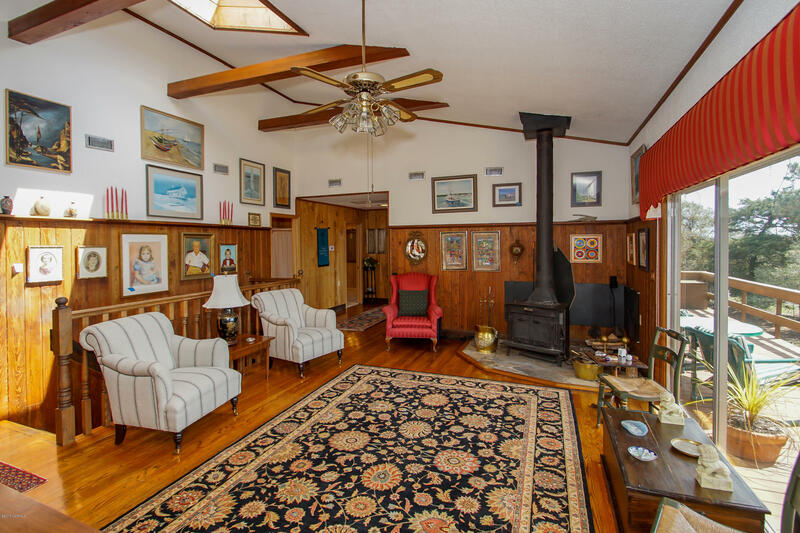 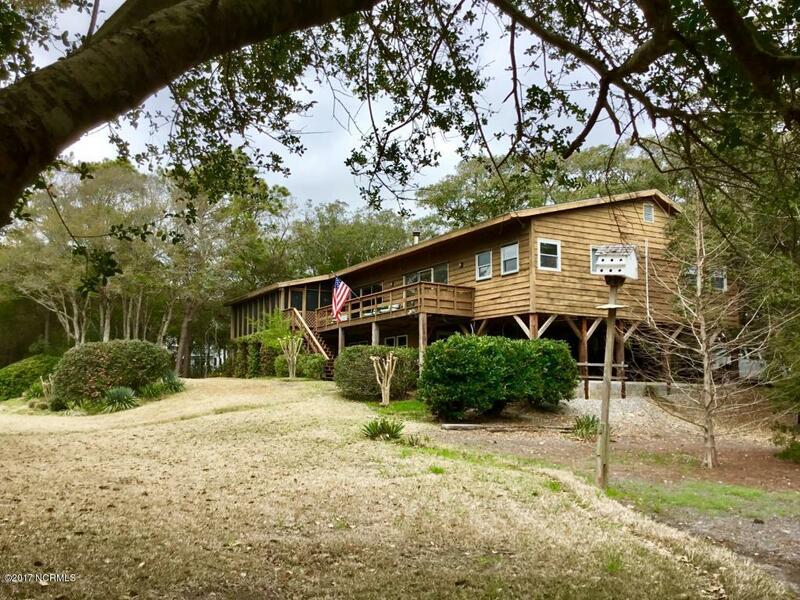 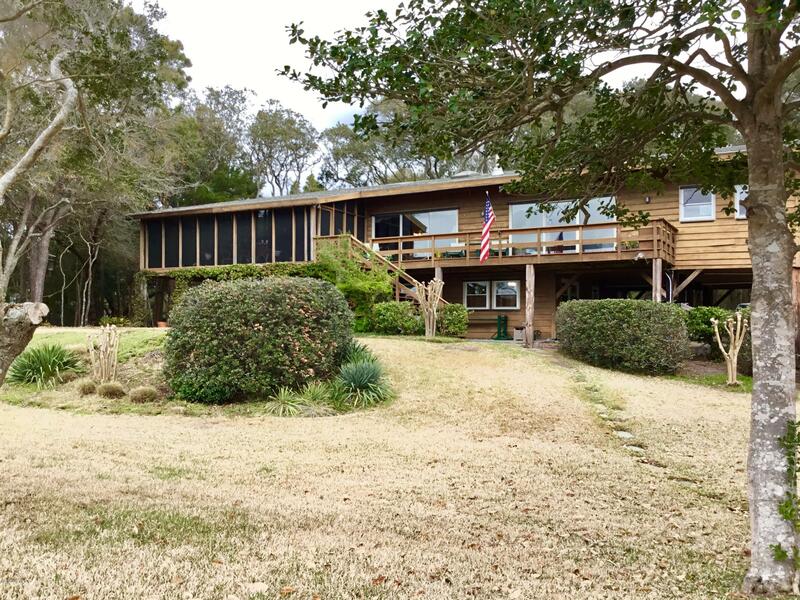 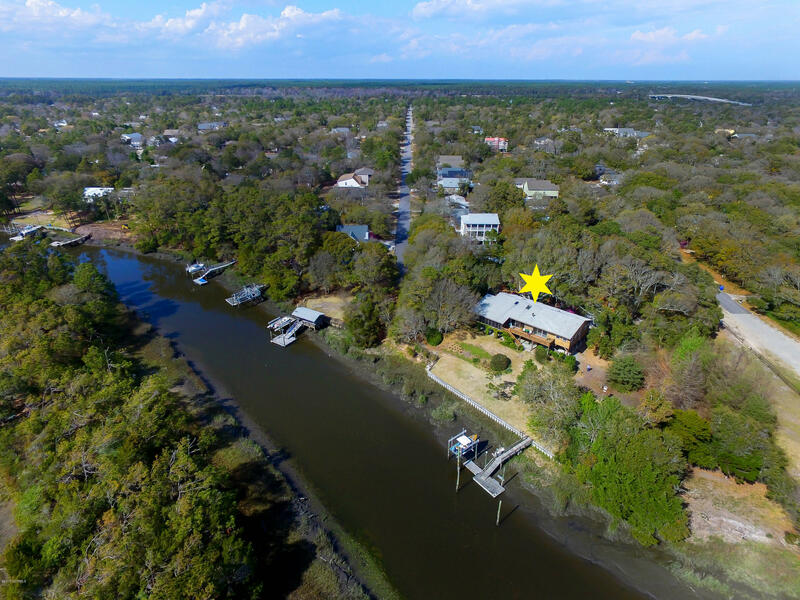 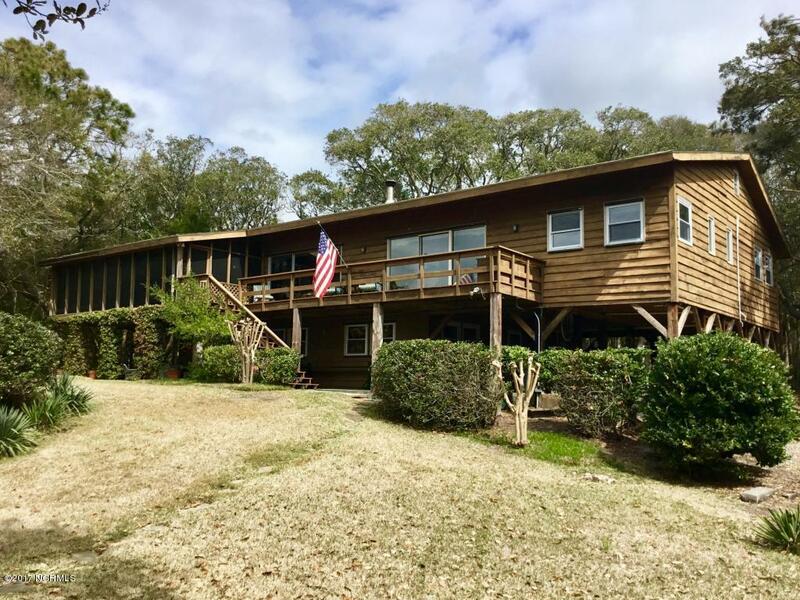 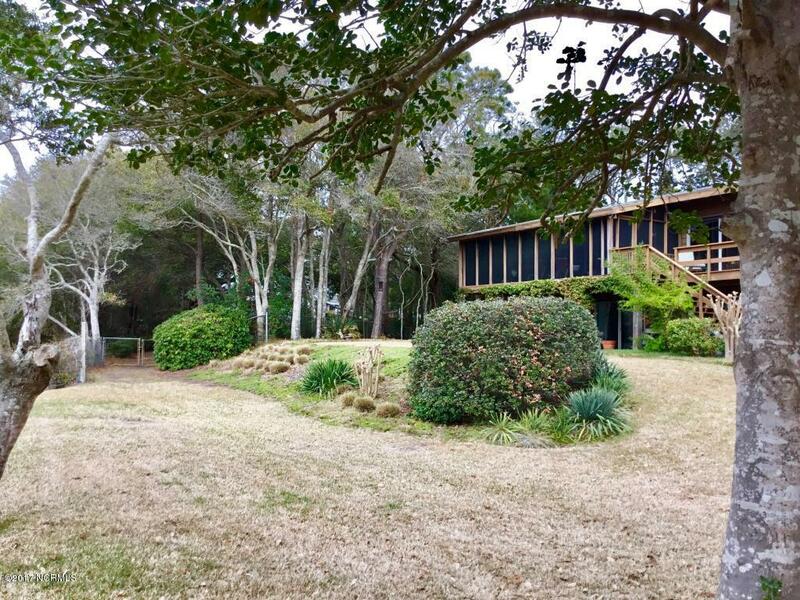 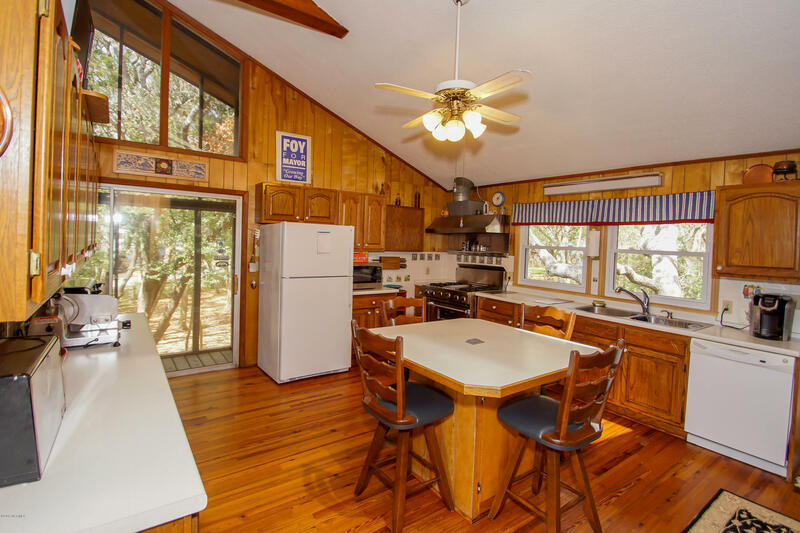 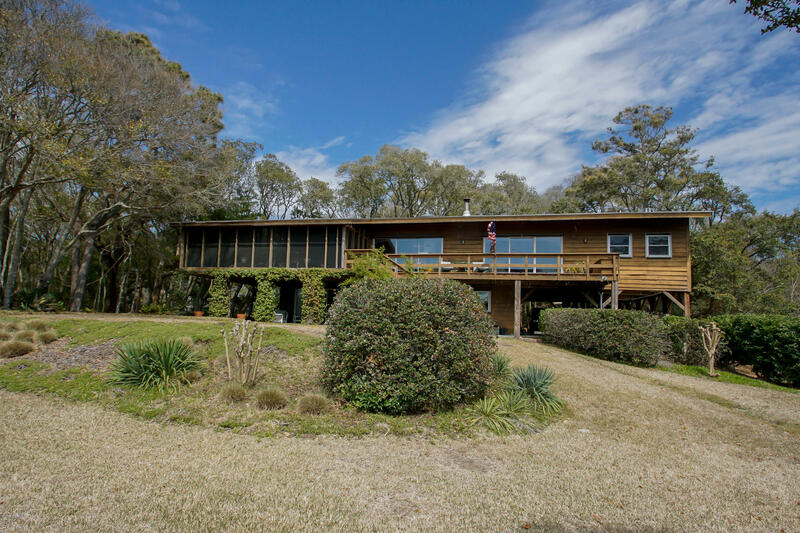 This property is a home built for entertaining, rare acreage on Big Davis Canal and many extras you won't find anywhere else on Oak Island. 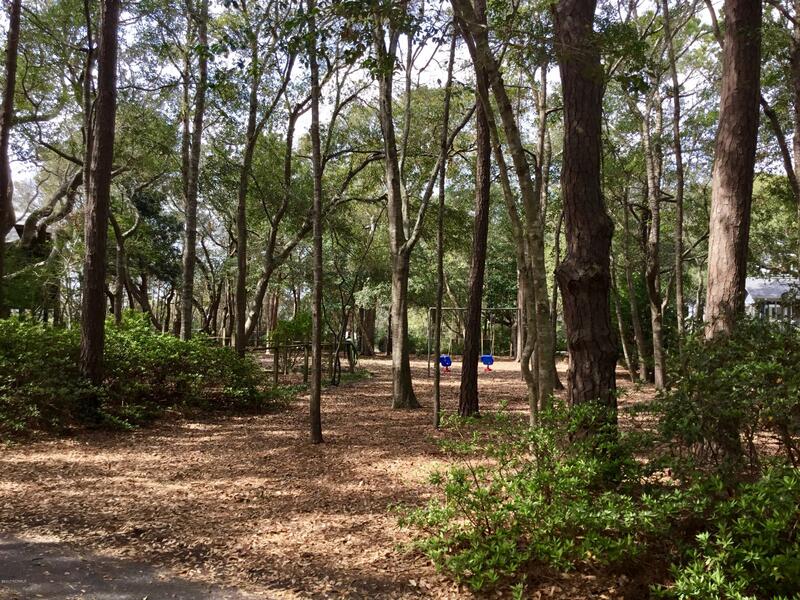 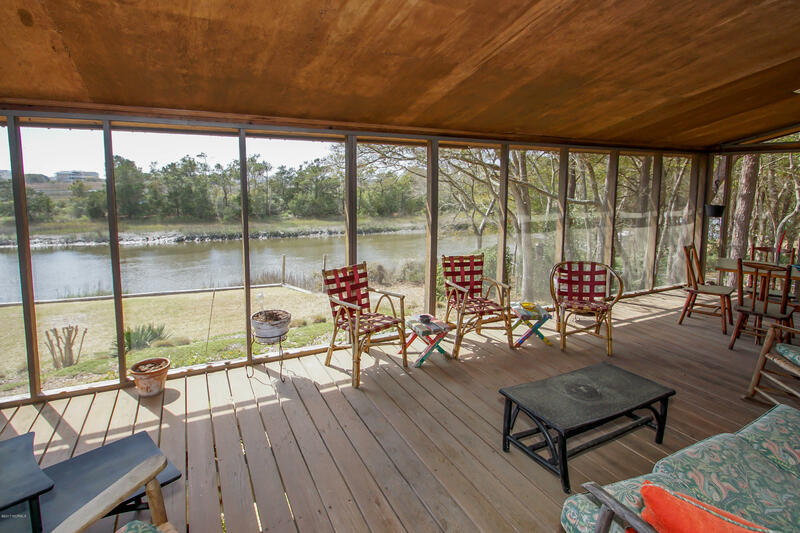 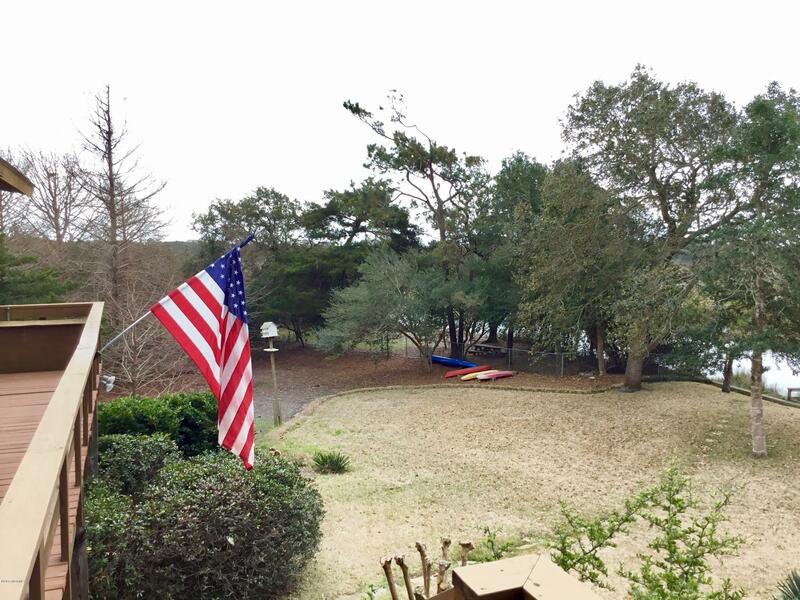 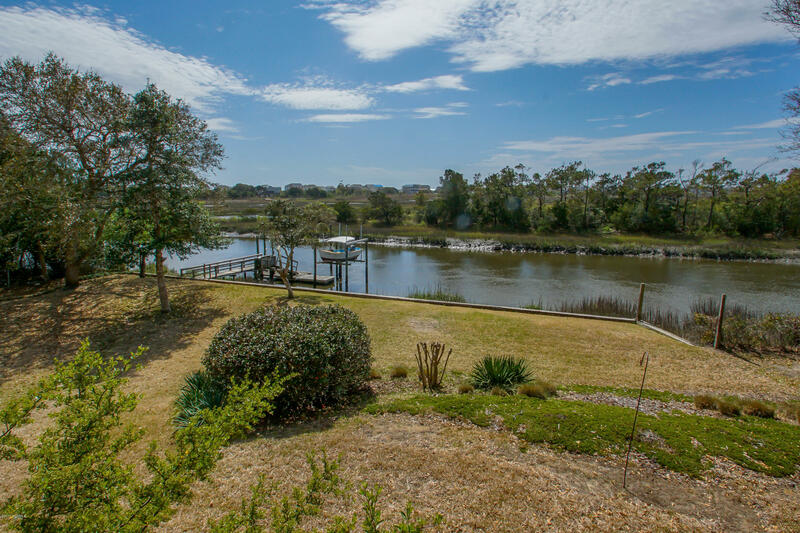 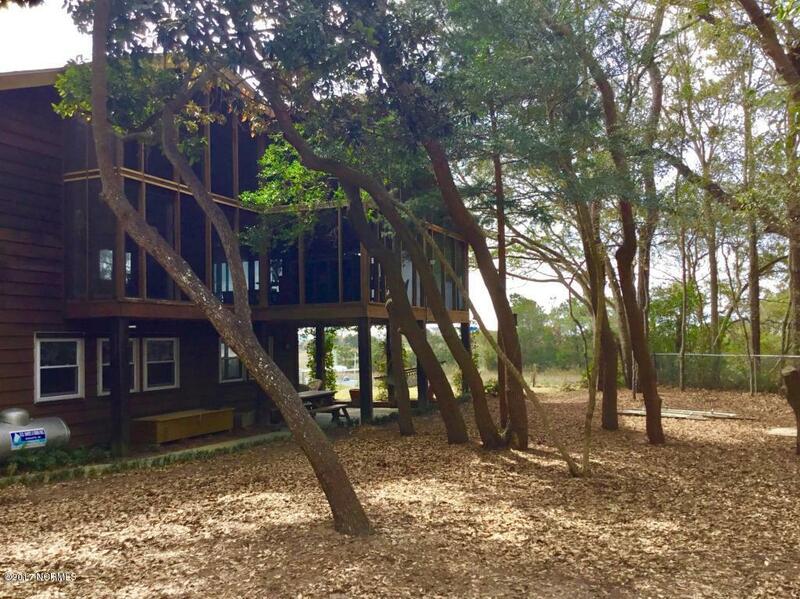 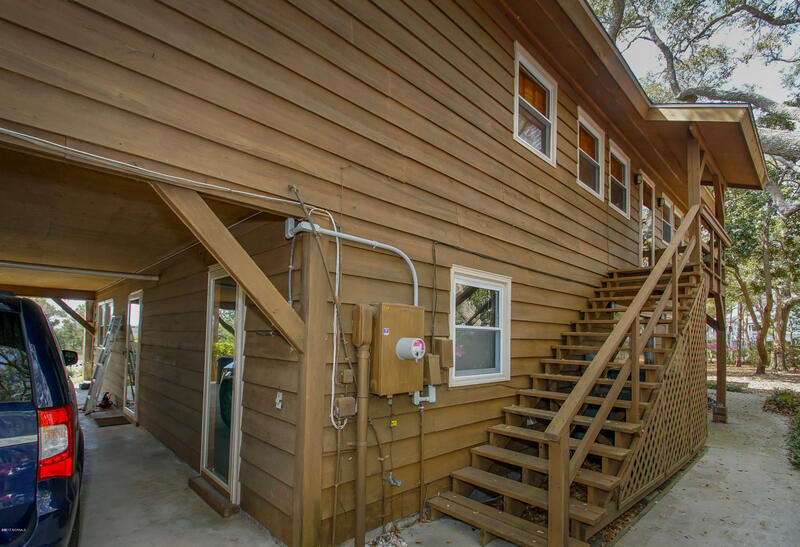 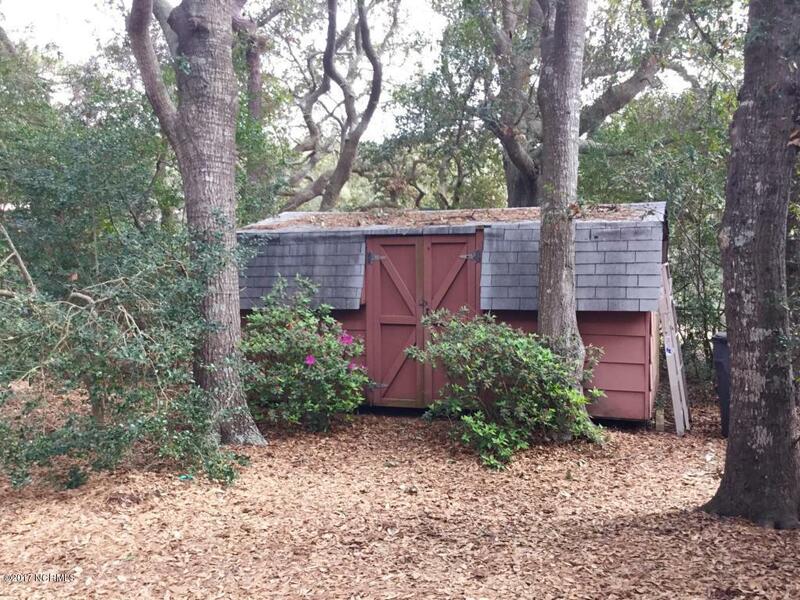 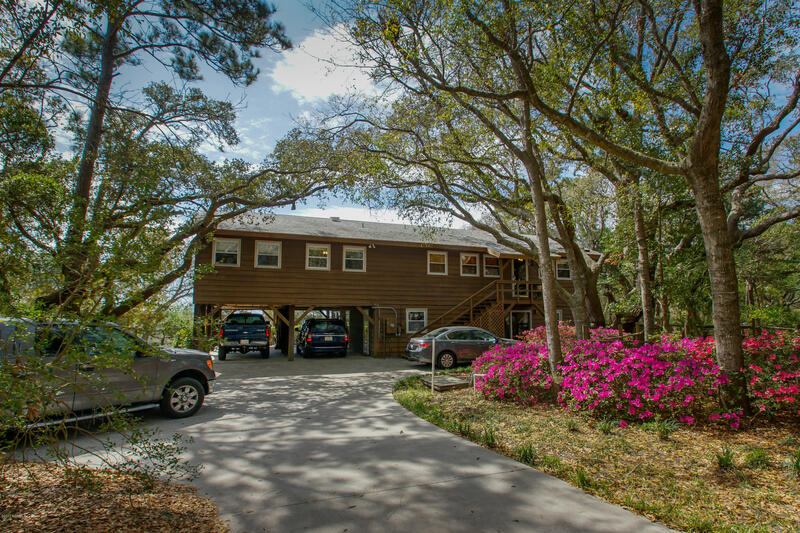 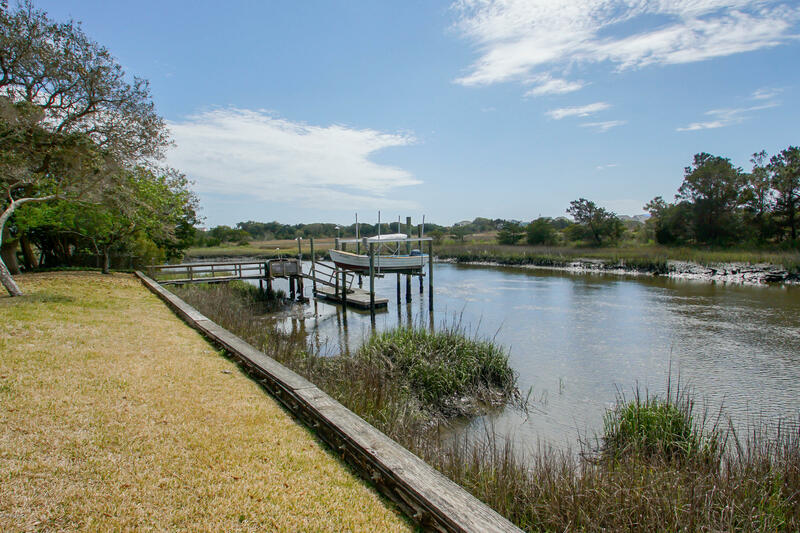 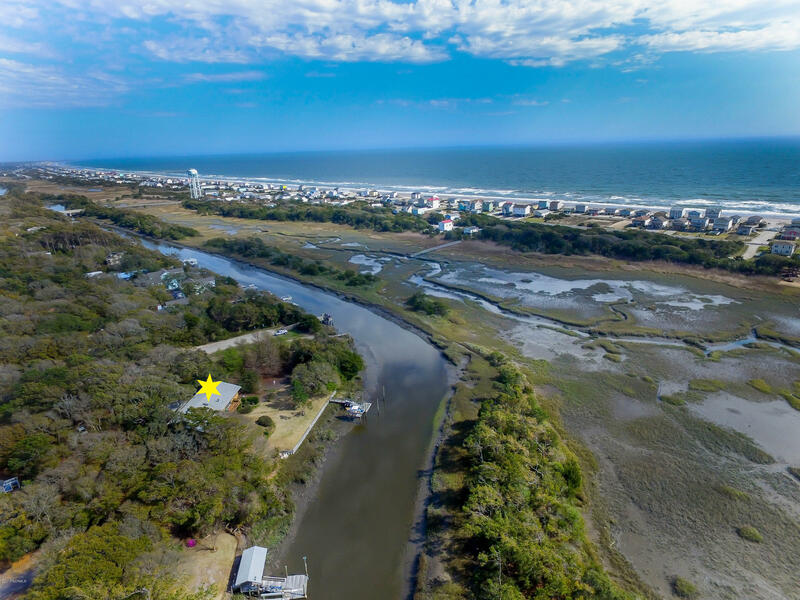 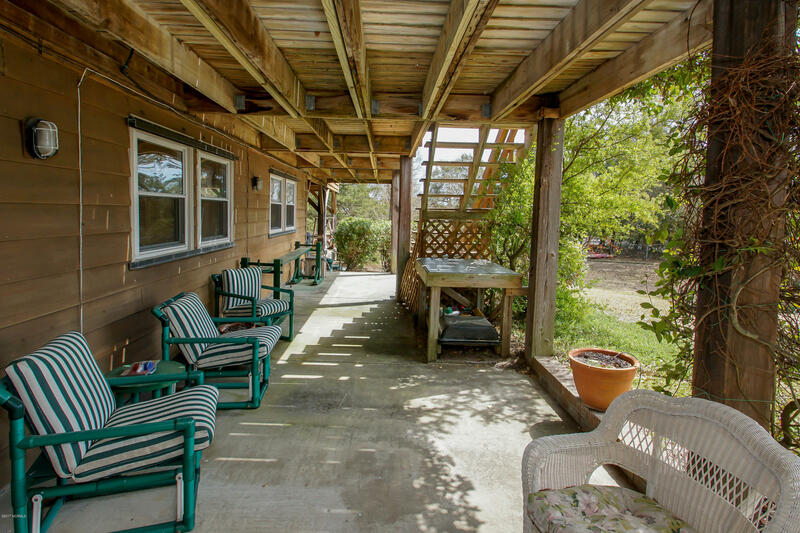 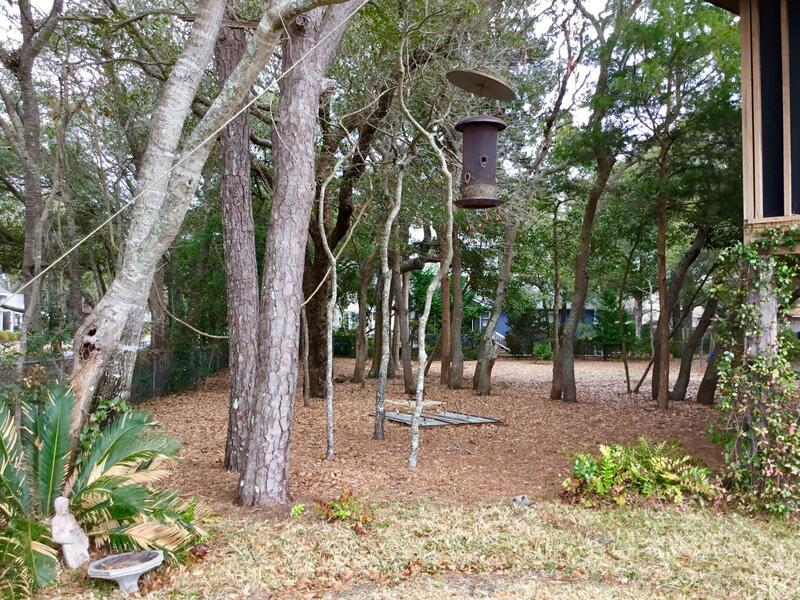 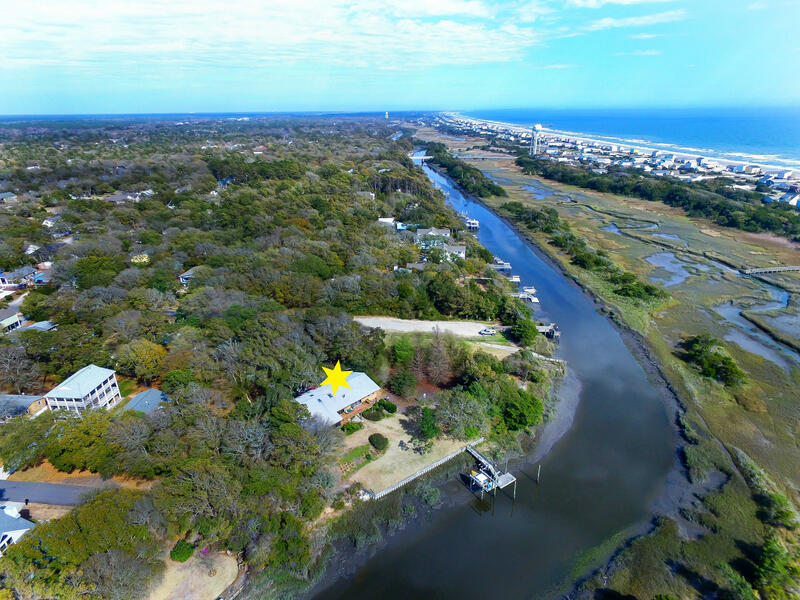 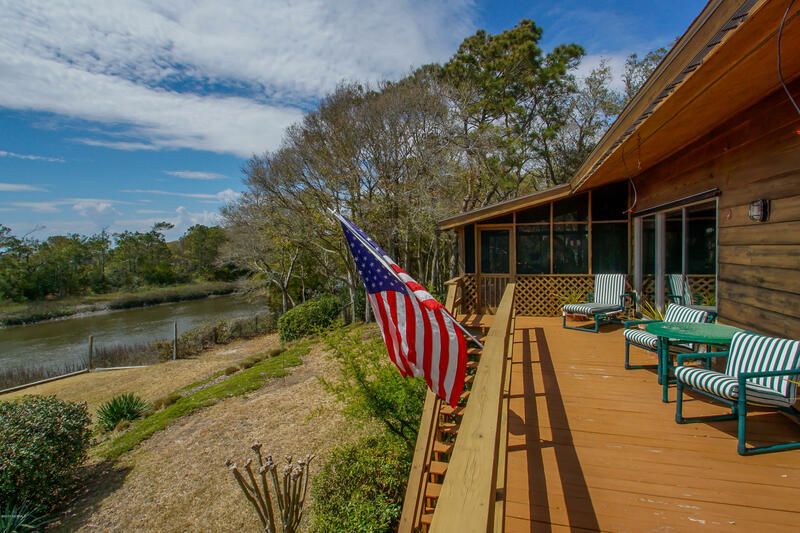 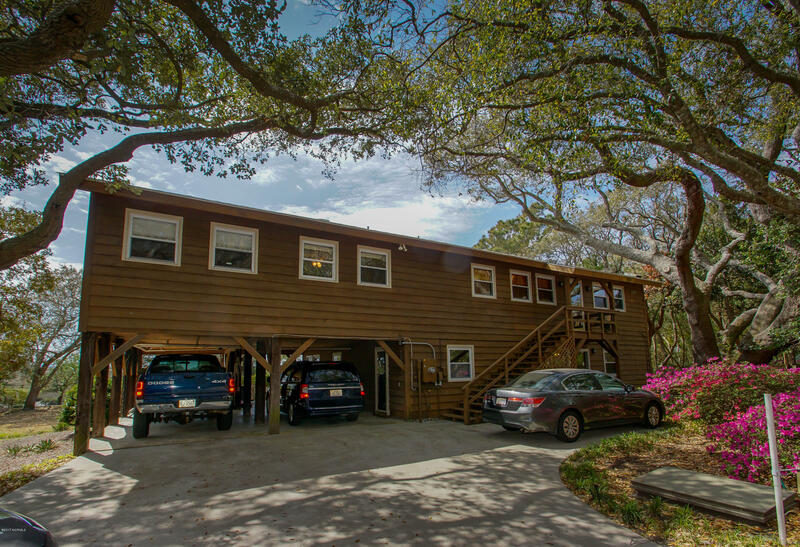 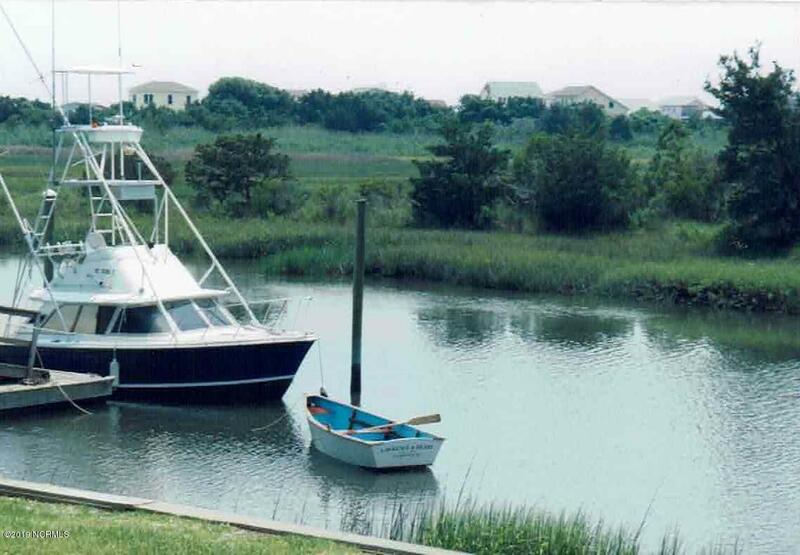 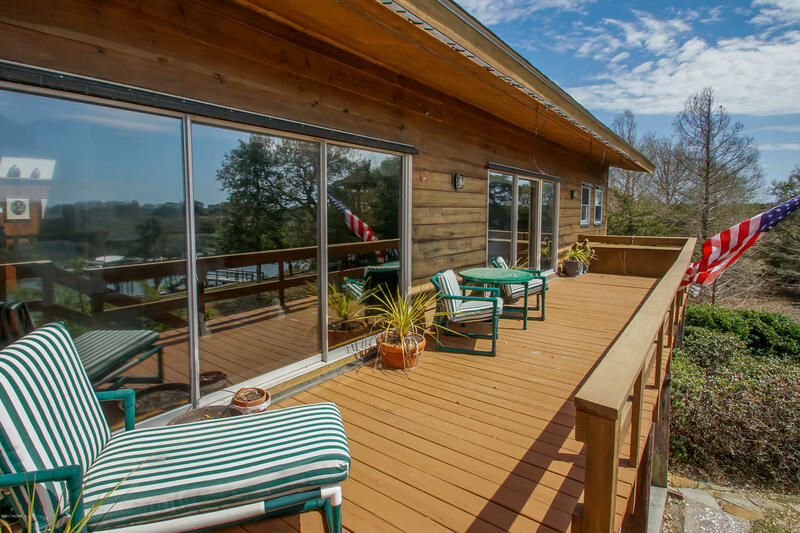 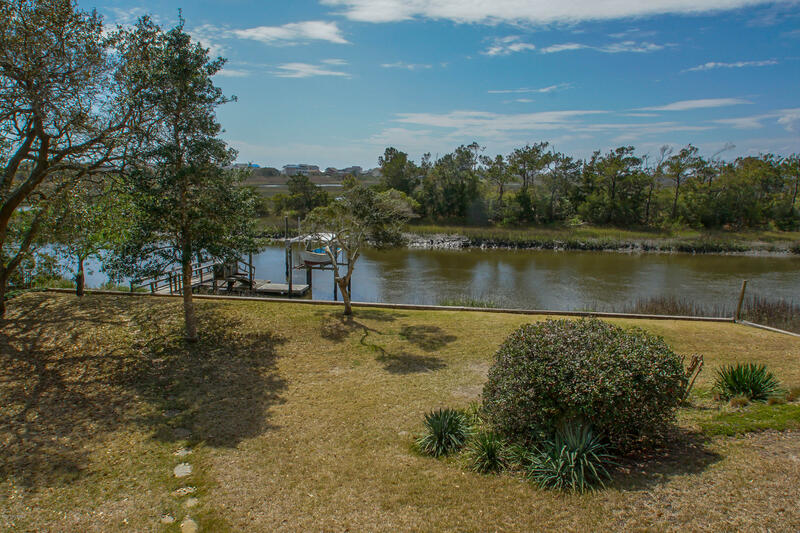 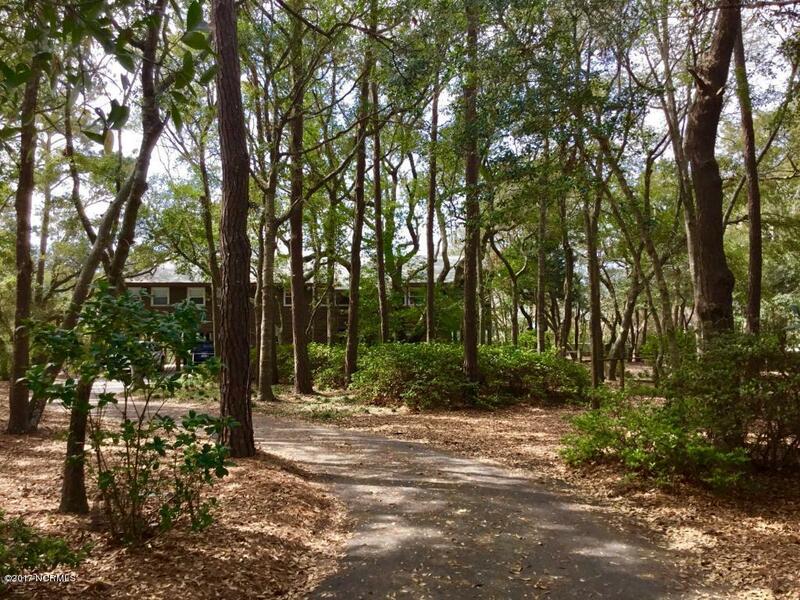 The beautiful, mature live oaks and cypress trees create a private retreat where you can enjoy the beauty of the canal and the sounds of the Atlantic Ocean. 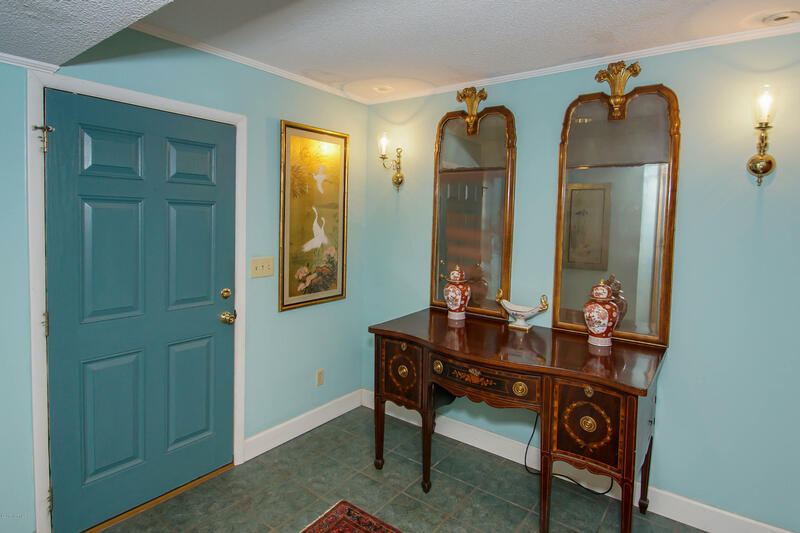 This listing is provided courtesy by Art Skipper, Art Skipper Realty Inc.